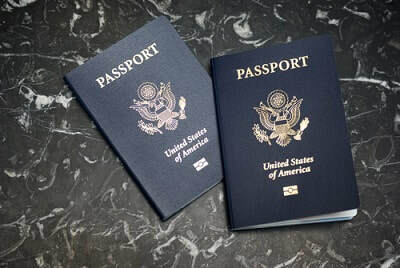 Robert W. Wood – The number of Americans renouncing United States citizenship or terminating long-term residency is on a record pace. Every 3 months, the government publishes the names of individuals who renounced U.S. citizenship or gave up a green card. This public outing puts Americans on notice who relinquished their rights. For January to March, 1,001 people are on the latest list. One name you’ll recognize? Tina Turner. The total for one quarter last year was even higher, but it’s nearly a 50% jump from January to March of 2013. With 2,999 for all of 2013, the number for 2014 could top 4,000. But these are just IRS and Treasury Department numbers. What is often called consular expatriations, where people don’t file exit tax forms with the IRS, are apparently not counted. Indeed, the Treasury Department’s published list states explicitly this is just those about whom the Secretary of the Treasury has data. It means these numbers are under-stated, some say considerably. Statistics are also not available for why people say good-bye. Complex or costly taxes are often only one factor. America’s global income tax compliance and disclosure laws can be inconvenient, expensive, and some say downright oppressive. No group is more severely impacted than U.S. persons living abroad. For those living and working in foreign countries, it is almost a given that they must report and pay tax where they live. But they must also continue to file taxes in the U.S. What’s more, U.S. reporting is based on their worldwide income, even though they are paying taxes in the country where they live. Many claim a foreign tax credit on their U.S. returns, but it generally does not eliminate all double taxes. And today, enforcement fears are palpable. The annual foreign bank account reports known as FBAR forms carry Draconian civil and criminal penalties. Even civil penalties can quickly consume the balance of an account. Plus, FATCA—the Foreign Account Tax Compliance Act—is ramping up now worldwide. The major impact of FATCA is on foreign institutions everywhere that have been enlisted to help Americans to remember their tax and reporting obligations. Far flung institutions are ferreting out Americans and, if they won’t step forward to the IRS, ratting them out. On an individual level, FATCA requires an annual Form 8938 to be filed with income tax returns for foreign assets meeting a threshold. Many foreign banks do not want American account holders. Americans abroad can be pariahs shunned by banks for daily banking activities. Even Canada agreed to turn over data to the U.S., though many in Canada are hopping mad about it. Leaving America can have a special tax cost. To exit, you generally must prove 5 years of tax compliance in the U.S. Plus, if you have a net worth greater than $2 million or have average annual net income tax for the 5 previous years of $155,000 or more (that’s tax, not income), you pay an exit tax. The theory of the exit tax is that is the last chance the U.S. has of taxing you. It is a capital gain tax as if you sold your property when you left. At least there’s an exemption of $668,000. Citizens aren’t the only ones to suffer. Long-term residents giving up a Green Card can be required to pay the tax too. See High Cost To Go Green: Giving Up A Green Card. A decision to expatriate should never be taken lightly. Yet more and more people are talking about making this move.